Born: 15 August 1853, San Francisco, United States of America. Harry H. Webb, mining engineer, qualified as Bachelor of Philosophy (PhB) at the University of California in 1875 and continued his studies at the Royal School of Mines, London, and at the School of Mines in Freiberg, Sachsen, Germany. In the United States he worked as an assayer, chemist, and manager, before coming to southern Africa in 1895 as consulting engineer to a number of mining groups in Rhodesia (now Zimbabwe). The next year he settled in Johannesburg as consulting mining engineer to various companies of Consolidated Goldfields of South Africa, succeeding John H. Hammond*. He still held this post in 1905. Webb was a member of the (British) Institution of Civil Engineers (MICE), the (British) Institution of Mining and Metallurgy (MIMM), and the American Institute of Mining Engineers (MAmIME). In 1899 he became a member of the Chemical and Metallurgical Society of South Africa (from 1902 the Chemical, Metallurgical and Mining Society of South Africa). During 1902/3 he served as president of the South African Association of Engineers. At the end of his term he delivered a valedictory address, "Discovery and history of the Witwatersrand gold fields", which was published as a pamphlet (Johannesburg, 1903, 39p). That same year he served as a member of the Technical Education Commission of the Transvaal Colony, which recommended, among others, that a teaching university be established in or near Johannesburg. He was a foundation member of the South African Association for the Advancement of Science in 1902 and during 1903/4 served on the committee for Section C (including engineering), which helped to arrange the Association's second annual congress, held in Johannesburg in 1904. In 1910 his address in the Association's list of members was given as London. However, he retained an interest in South African affairs, for in December 1913 he published an article on "Rand ore values in depth" in the South African Mining Journal. Webb was married to Virginia Morton. Draper, J.R. The engineer's contribution: A history of the South African Institution of Mechanical Engineers, 1892-1967 (pp. 15, 245). Johannesburg: SAIME, 1967. 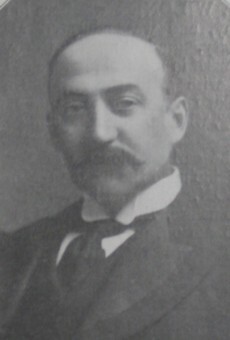 Williams, A.F. American engineers in South Africa. Kimberley: Diamond Fields Advertiser, 1902, 19p.